We do hope the Guardian don't mind us reproducing this fascinating article from last weekend. 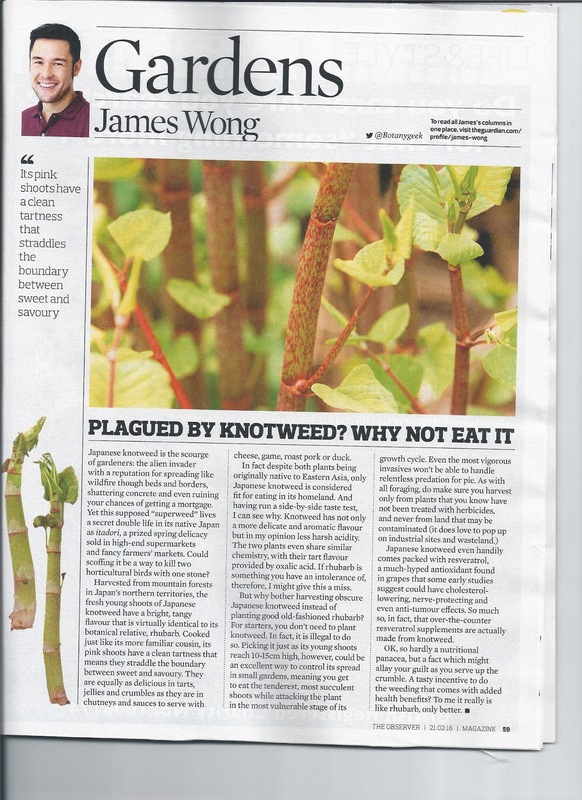 All very interesting but please take note that the Japanese Knotweed in The Carrs IS routinely treated with herbicide so whatever you do don't go picking it and making a crumble! If you happen to have some of the dreaded invader in your garden though, why not give it a try? It's probably the best way of getting rid of it!